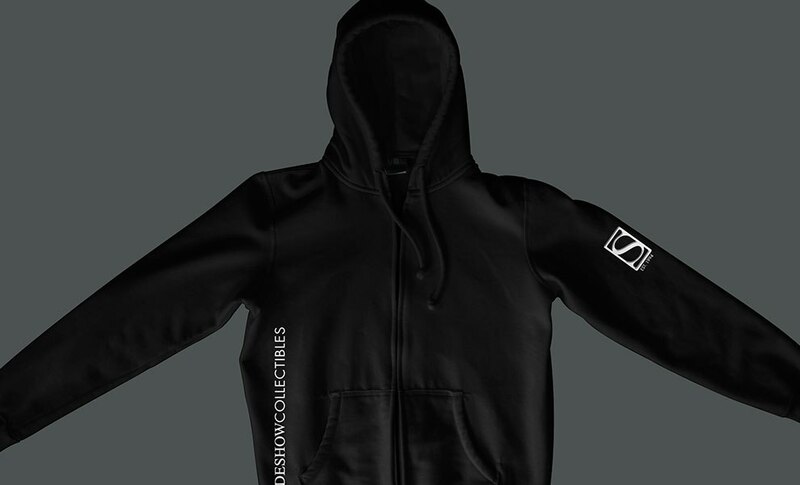 Keep warm with the Sideshow Collectibles Hoodie. This zip up hooded sweatshirt has a jersey-lined hood with matching drawstring and Sideshow Collectibles 'S' logo on the sleeve. Available in XS, Small, Medium, Large XL, XXL and XXXL sizes.